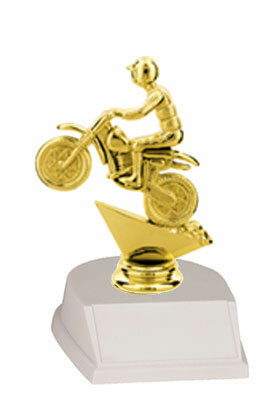 Check out our selection of trophies for your ATV rodeo, snowmobile races, motocross races, motorcycle shows and races. 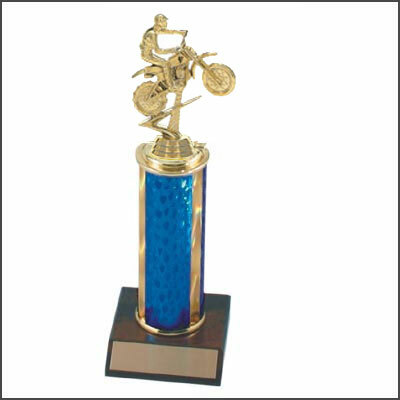 We offer a nice selection of styles and sizes of trophies. Choose from a base and figure up to a four posts trophy. 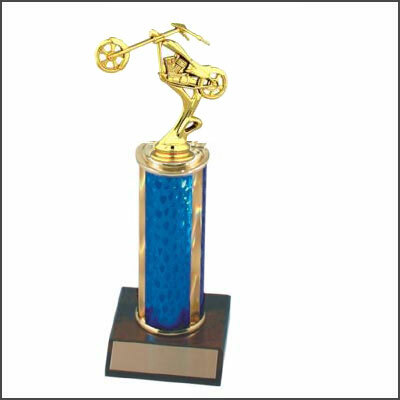 The cycling and ATV base and figure trophies are about 5" tall. 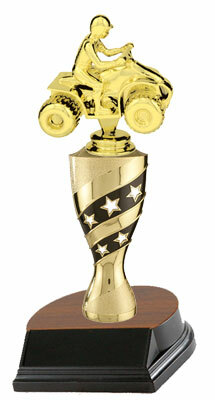 Check out our new shell backdrop trophy which is 7 1/2" tall. 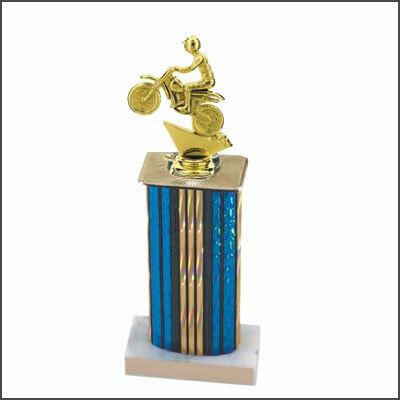 Motorcycle, motocross, snowmobile and ATV trophies are available with round and square columns, in single, double, triple & even four posts. We have a nice selection of figures including ATV, BMX, motocross, snowmobile, road motorcycle, dirt bike and chopper available. 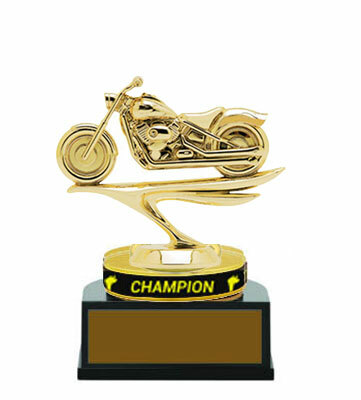 To place an online order just click the figure below that you want, then select the trophy style and size you need. 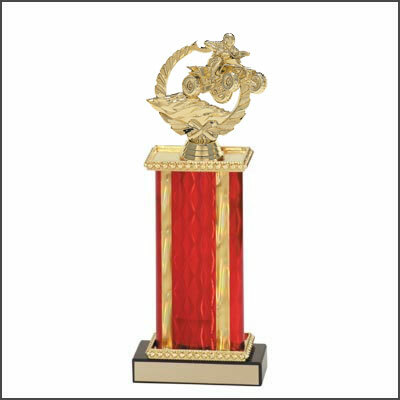 If you would rather talk to someone, we would be glad to talk with you and answer any questions you may have about our trophies. We would also be more than happy to take your order over the phone. 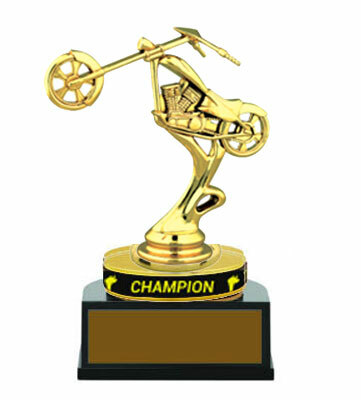 Our cycle trophies come with 40 characters of FREE engraving, anything over that is $.07 a character. Orders will ship in five to seven business days. Very large orders could take a little more time. We do have rush service available and special shipping is an option. Please contact us at 800-787-8777 if you need one of these services, or if you would like to place your order by phone.